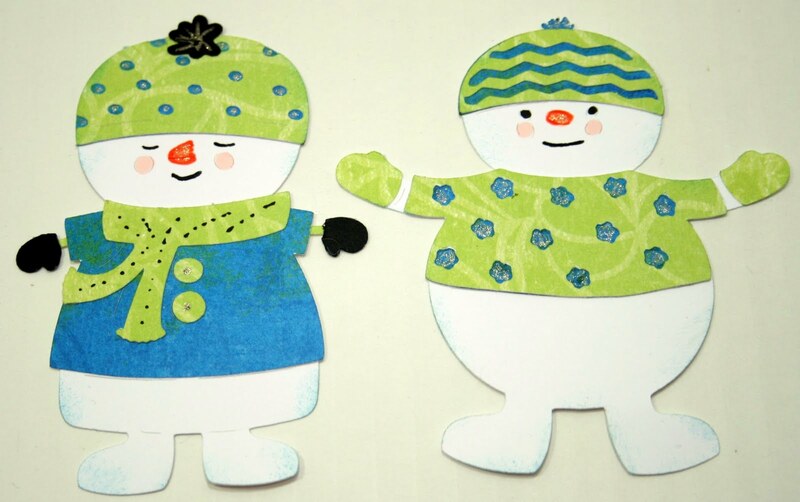 I am so excited about these snowmen and absolutely love the collection all done up in the greens and blues from the Lilly Anna paper collection! This afternoon I finally got in some good playing time with my new Gypsy!! 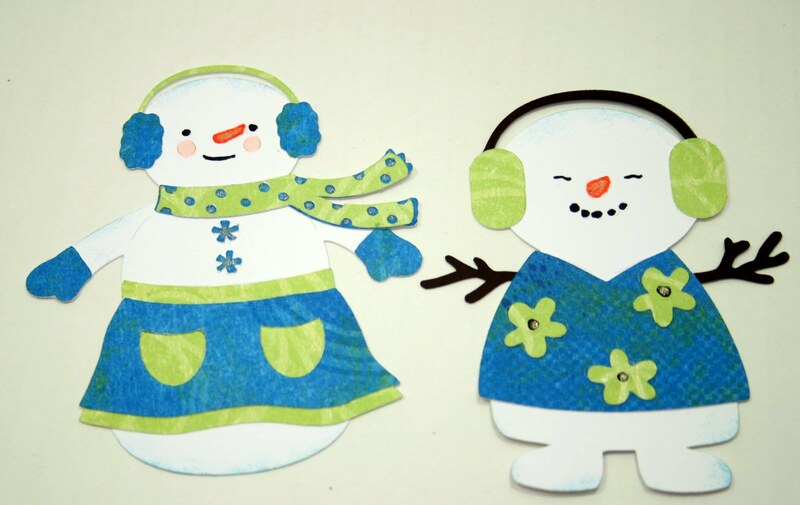 And as you can tell, I went crazy making snowmen - 10 to be exact!. 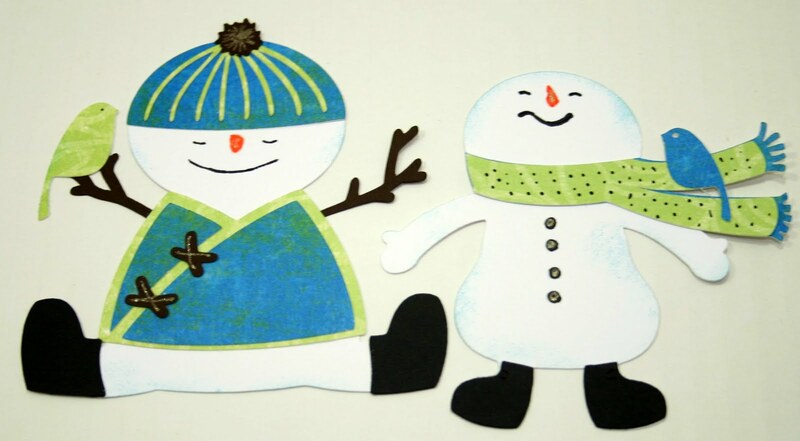 These cute snowmen are about 4 inches high. The base is cut from white cardstock. 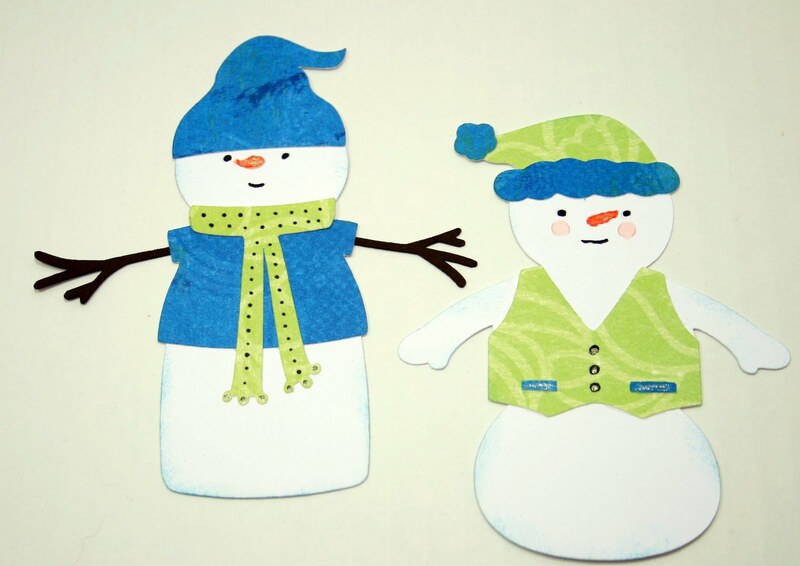 the scarves, mittens, hats, vests, and sweaters are all from the Lilly Anna paper collection. I used copic markers for the faces and some of the buttons. The edges are lightly distressed with Beaux Arts Blue Palette Ink. 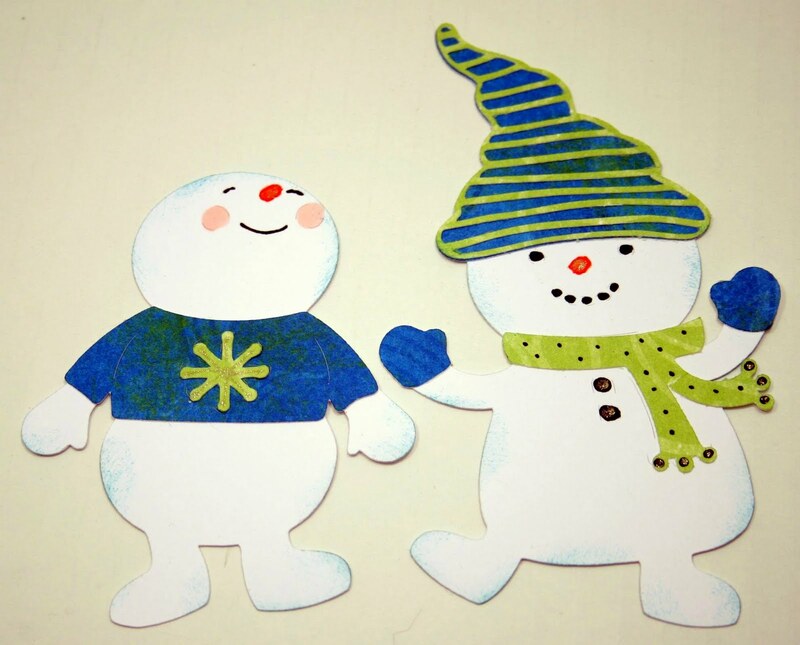 And, last but not least, I also used the Stardust Glitter Pen on the noses and buttons.